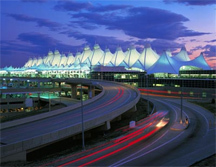 A Active Limousine provides Denver airport transportation and limousine service to all ski resorts of Colorado at very reasonable and affordable price. We have latest model 4 wheel drive vehicles and a variety of latest models of Suburban and Yukon XL cars, which are perfect for mountain trips. These excellent cars are absolutely well running vehicles in Vail, Breckenridge, Aspen, Winterpark. While the mountain trips are always exciting, it is equally important that you chose a safe transportation service, so that you can enjoy your trip completely. Vail is amongst the most popular tourist destinations. Easily accessible from Denver airport, Vail happens to be the largest single ski resort in North America. Excellent lodging, dining and cultural shows make it a lot more fun to be in Vail.